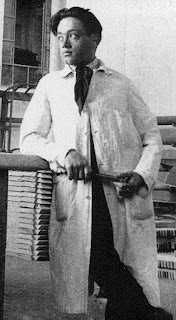 The sculptor and automobile designer Flaminio Bertoni, the creative genius behind the groundbreaking Citroën cars of the 1930s, 40s and 50s, was born on this day in 1903 in what is now the Masnago district of Varese. 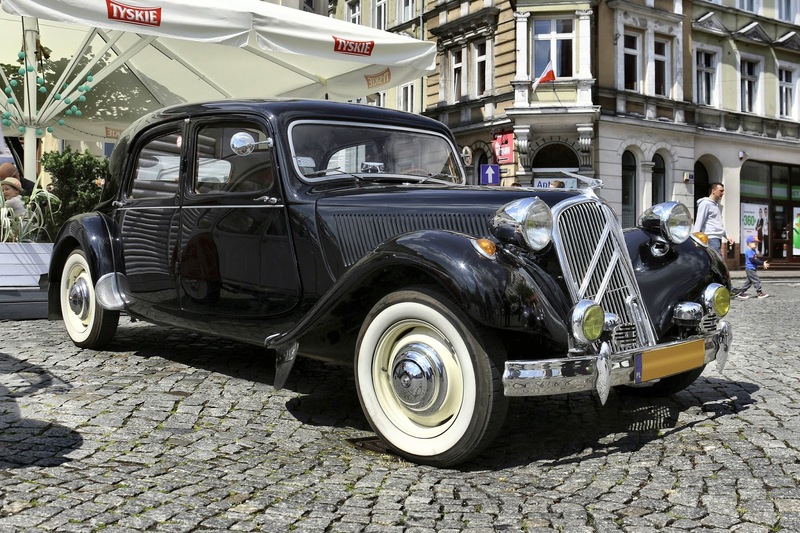 Bertoni, who lived in or near Paris from 1931 until his death in 1964, designed bodies for the stylish Traction Avant luxury executive car and the enduring workhorse 'Deux Chevaux' - the 2CV - which became almost a symbol of France. Yes both of these were eclipsed, some would say, by the brilliance of Bertoni's aerodynamic, futuristic Citroën DS - also known as 'the Goddess' - which was named the most beautiful car of all time by the magazine Classic and Sports Car and was described by the Chicago Institute of Design soon after its launch as among the '100 most beautiful things in the world'. Bertoni was fêted in France, where he was made a Knight of Arts and Letters by the government of Charles de Gaulle in 1961 but it was not until almost 40 years after his death that his achievements were given recognition in his home country, where his son, Leonardo, set up a museum in Varese to celebrate his work. Even as a small child, Bertoni's ambitions were clear. He immersed himself in books about his idols, Michelangelo and Leonardo da Vinci, from the age of six. Although he would embrace car design with passion, his involvement with the nascent automobile industry came about by accident. Having graduated from technical college in Varese, he was forced by the death of his father to look for a job rather than continue his formal education further. It just so happened that the first offer of work came from a small car manufacturer in Varese, Carrozzeria Macchi, where he was taken on as a joiner's apprentice. The company soon realised where his true talent lay, however, and within only a few years he was their head draftsman. His first visit to France came in 1925, when he was invited to Paris following a visit to the Varese factory by some French engineers. Bertoni met André Citroën and was impressed by his energy and forward thinking, yet at that stage wished to make his career in Italy. Within six years, however, he had decided to make his home in Paris. Having fallen out with Carrozzeria Macchi because his ideas were seen as too advanced, and when his mother made it clear she disapproved of his girlfriend, Giovanna Barcella, the lure of a new life in the sophisticated French capital, which was at the forefront of automotive design at the time, became too much to resist. When he and Giovanna stepped off the train at Gard de Lyon in October 1931 he had no job and she was already three months' pregnant but everything fell into place the following year. Two months after the birth of his son, whom he would name Leonardo in honour of Da Vinci, he was taken on by Citroën. His first design triumph came in 1934 with the Traction Avant - literally 'front wheel drive' - which he presented to the company not as a design on paper but a fully scaled sculpture in plasticine. The car had a lightweight all-metal body and a substantially bigger passenger compartment than was typical. It seemed certain to be a success but its development had been so expensive that the company was bankrupted soon after its launch. 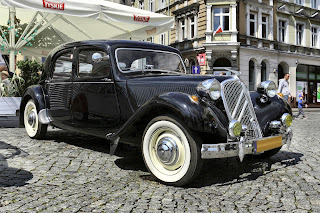 Fortunately, the tyre company Michelin not only came to the rescue of the company but were keen to see the Traction Avant project realised. Eventually, 750,000 were sold. The next few years were difficult for Bertoni. In 1936, dismayed at how little time her husband spent at home - while not working, he was exhibiting his sculptures and drawings and enjoying the Paris nightlife - Giovanna returned to Italy, taking Leonardo with her. After the outbreak of the Second World War, he was twice interned as an alien, although on each occasion he was quickly released. He also spent a year in hospital after a serious motorcycle accident, although he put the time to good use by studying for an architecture degree. 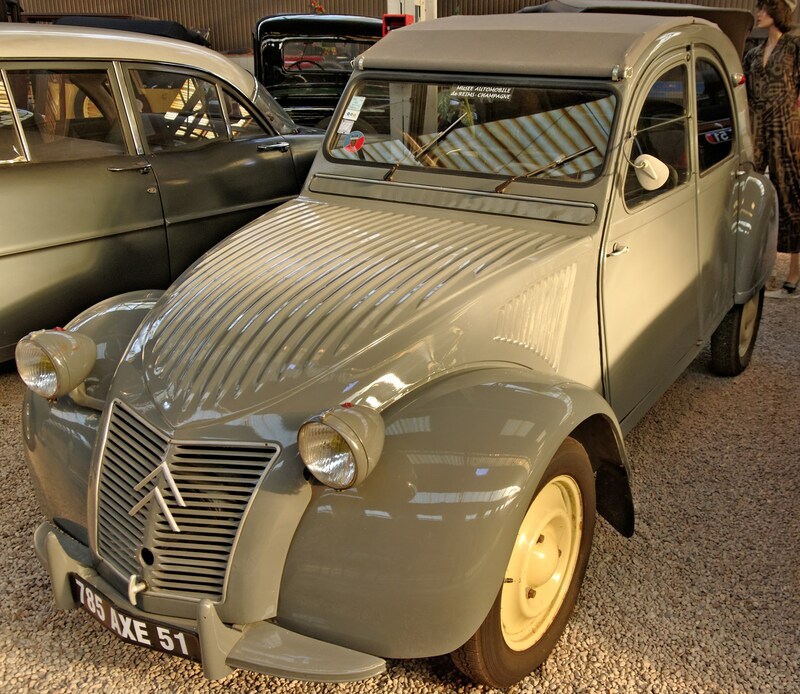 Once recovered, he took Citroën's plans for what was originally named the TPV - a 'tres petite voiture' to rival the German 'people's car', the Volkswagen - and developed the distinctive bodywork lines that would instantly set apart the fabled 2CV. 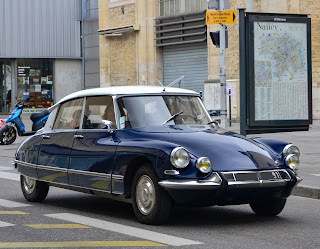 Conceived at first as a purely functional vehicle aimed at agricultural workers, it would in time become a French icon. Launched in 1948, it remained in production for 42 years, selling more than five million. By now married for the second time, to the dancer Lucienne Marodon, he followed the 2CV with a car aimed at a much different market as France recovered from war keen to reconnect with its opulent past. The Citroën DS - the letters were a play on the French word 'Déesse', meaning Goddess - was unveiled at the Paris Motor Show in 1955, where visitors were wowed not only by the beautiful sculpted curves of the car's superstructure but by its hydro-pneumatic suspension, front power disc brakes and power steering. It was hailed as 'a magic carpet ride' and 12,000 orders were placed on the opening day. Bertoni created one more fine car, the Ami 6, and also managed to put his architectural skills into practice in the United States, where a system for building houses designed by Bertoni enabled 1,000 homes to go up in 100 days at a project in St Louis, Missouri. He frequently exhibited and won prizes for his drawings and sculptures both in Italy and France. The imposing Monument to the Fallen in Varese's Piazza della Repubblica was in part sculpted by Bertoni, working for Enrico Butti. Bertoni, who always walked with a stick after his motorcycle accident, which left him with one leg shorter than the other, died in Paris in 1964 after suffering a stroke. His second son, Serge, from his marriage to Lucienne Maradon, passed away a few years later, the victim of a road accident. Leonardo Bertoni, who died in 2015 at the age of 82, campaigned for the last 15 years of his life to see that his father's memory was preserved in his native country, setting up a museum in Varese to celebrate his work. The museum has since closed but the exhibits are now on display at the Museum of Transport at Ranco, about 20km west of Varese on Lake Maggiore. 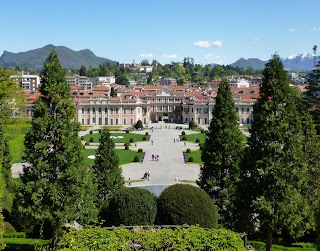 Varese is a pleasant city in northern Lombardy overlooking the lake of the same name, situated about 20 minutes from Milan Malpensa airport and about 55km (34 miles) from the city of Milan. The city is small enough to get around on foot, with attractions such as the central Piazza Monte Grappa, the Basilica San Vittore and the spectacular Estensi Palace and Gardens within a short distance of one another.